We’ve all had a favourite stuffed toy that we loved. They seem like a simple item but in reality it takes a lot of thought to develop a cute cuddly toy that children love and is safe. 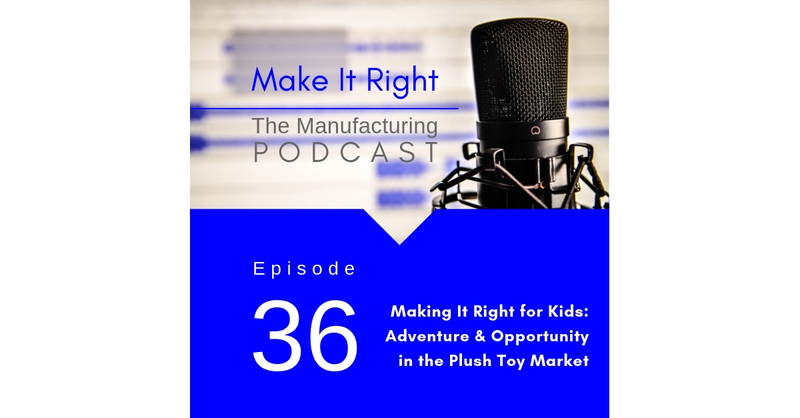 This week on the Make It Right podcast we venture into the world of plush toy manufacturing with Marissa Louie, a web and app designer who has turned her plush toy passion into Animoodles, a line of plush toys with interchangeable parts. She is also a 2019 nominee for Rising Star for Women in Toys.